Does your bank help lock up families? Last year, Wall Street banks JPMorgan Chase, Wells Fargo, Bank of America, BNP Paribas, SunTrust, BlackRock, and U.S. Bancorp loaned millions to help finance private prisons and the immigrant detention industry (1). These banks are members of the “Million Shares Club” — investors who own shares in the biggest private prison operators, GEO Group and Core Civic (2). Locking up communities is not just about politics, but about a perverse incentive for profit. Private prisons are the primary beneficiaries of the current immigration debacle. 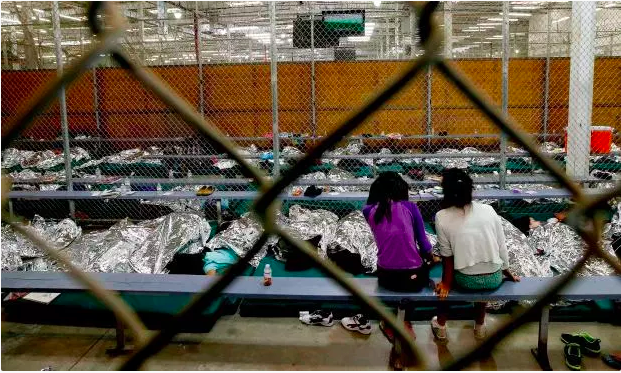 Over 60% of immigrant detainees are held in privately owned prisons and detention centers (3), placing them in direct opposition to policies for the humane treatment of immigrants and refugees. As the recent practice of family separation showed us — and audio of suffering children let us hear — these prisons show no mercy. Trump's recent pledge to stop family separations demonstrated that public influence matters. However, separations are continuing and the fight for justice is not over (4). If the government had to do its own dirty work, rather than relying on private actors, it would be required to adhere to basic human rights standards and more directly face the fact that locking up people for what should be a civil infraction is not sustainable federal policy. And if private prisons didn't have $2B in annual contracts with ICE at stake (5), they wouldn't stand so firmly in the way of reasonable immigration and criminal justice policies. Private prisons are incentivized to keep people incarcerated. While recent conversations on immigration have highlighted the abuses perpetrated in private prisons and detention centers such as sexual violence (6), those aware of the history of mass incarceration know that these are just additional symptoms of the underlying problem: that private prisons are designed to be efficient at profiting from human bodies. They are unfortunately quite good at it. When the private prison industry lobbies Congress, having invested over $25M over the past three decades, they are advocating "for their own existence," (7). This is despite documented evidence from the Department of Justice released under the Obama administration that private prisons are more dangerous for both inmates and guards. Subsequently, the Obama administration announced their intention to wind down use of private prisons... a move later reversed under Trump (7). We know a better way. It's now up to us as citizens, investors, and voters to keep the pressure on for change. We can create alternatives to incarceration, which focus on rehabilitation and restorative justice, not dehumanization and disregard. We can have greater community control over both policing and our prisons. We can support sentencing reform that gives people a fairer day in court. We can ensure that the private prison lobby can stop getting in the way of the will of the people. Let's stop giving our dollars to banks that turn around and loan them to private prisons everyday. And as we divest from private prisons, we can also support proactive investments into the type of industries that will uplift communities and create better opportunities for all people. Ready to get your money out of private prisons? Join the pledge to make some #realmoneymoves. Taking our money out of the banks that fund private prisons, and moving it to investments that match our values. Learn more about what you can do, and add your voice by pledging to make your Real Money Moves. Real Money MOvES Is an initiative of Candide Group, which works at the intersection of money and social justice. Please email hello@realmoneymoves.org for more information, or follow @morgansimon1 on twitter and instagram.